When Isa Peña was a senior in high school in 2012, she enjoyed a privilege that so many students hope for: She drove herself to school. But that privilege came with a responsibility. She also had to drive her parents and two younger siblings anywhere they needed to go. That meant using school time, and even leaving school early some days, to take her father to work. He emigrated from Mexico to Newberg and had a driver's license for a while. But when it expired in 2012, he wasn't able to renew because of a 2008 Oregon law that restricted people without proof of legal residence from receiving or renewing their licenses. "I have to drive them to work. I have to drive them to school events. I have to drive them to church. Drive them to the grocery store," Peña said. "So this really does impact me in a direct way because if they were able to have access to a license to drive, they would be able to care for themselves and care for my family." This year, a coalition is working on a fix to that in the Legislature. Peña is a development manager at Causa, an immigrant rights advocacy organization that this week filed a bill called the Equal Access to Roads Act. The act would reinstate the right to a driver's license to Oregonians, including undocumented immigrants, who can prove who they are and who pass the written and driving test. Peña's parents live in Newberg, a city with limited access to transportation options. People without licenses have to ask for rides or walk to public transportation. Most social services are in McMinnville, about 17 miles away. That's a four- to six-hour round trip bus journey. "That's not practical for Oregon families," Peña said. "Our rural communities would really be impacted by this because we know a lot of immigrants and their families have had to move into rural areas due to gentrification. But they rely heavily on driving or having other family members drive." In Oregon, if you fail to carry or present a driver's license while driving on a public road and are stopped by law enforcement, that is a Class C misdemeanor, an arrestable offense. If you are an undocumented immigrant the penalties could lead to deportation in certain parts of the state. Peña says she has made sacrifices in her life so that she is available to take her father to work; he needs to pay the bills to keep a roof over her family's heads. "I don't want to be torn away from my family due to a simple traffic stop," she said. Oregon changed its license application requirements in 2008 to comply with the federal government's 2005 Real ID Act, post-9/11 rules that set minimum security standards for all state-issued identification. As of Oct. 1, 2020, Real IDs will be required to enter federal buildings and board commercial flights unless you present a passport. The U.S. Department of Homeland Security is allowing compliant states to issue non-compliant cards to people who opt out of the Real ID whose identity cannot be assured and lawful presence in the country cannot be determined. This includes individuals who never had or do not have access to their documents, a list that can include victims of domestic violence, seniors, people experiencing homelessness, survivors of natural disasters and people born in other states. Oregon will begin issuing Real ID-compliant cards in 2020, and state leaders have decided to create a two-tiered identification system that includes both a standard driver's license and an enhanced licensed that requires a passport to receive. Causa Executive Director Andrea Williams says the overhaul to the state's identification system is the perfect time to discuss the idea of once again changing the required documents to attain a driver's license. In 2013, under the guidance of Gov. John Kitzhaber, the Legislature directed the state transportation department to stop requiring proof of citizenship as part of the process to legally drive. Opponents put it on the ballot in 2014, and 66 percent of Oregon voters overturned the Legislature's decision. Protect Oregon Driver's Licenses was one of the groups that led the repeal. Endorsers of PODL included Sheriffs of Oregon PAC, Clatsop County Sheriff Tom Bergin and state Sens. Tim Knopp (R-Bend) and Kim Thatcher (R-Keizer), who represents Newberg, Dundee and St. Paul. Thatcher said in an email that she will not support the legislation this time around either. "Our broken immigration system must be fixed at the federal level so that people are here legally," she wrote. "State legislation like this does relatively little to actually help immigrants, while undermining our rule of law and opening the door for unintended consequences." Immigrant rights advocates say the politics of this topic have changed in just the past few years. Last year, voters overwhelmingly rejected a ballot measure that would have repealed Oregon's sanctuary state law. "We really saw how Oregonians have understood immigration and diversity in a much better way over the last four years," Williams said. The Equal Access to Roads Act would eliminate the requirement that a person provide proof of legal presence to the DMV in order to be issued a non-commercial driver's license, driver permit or identification card. The bill includes an emergency clause, which allows lawmakers to implement a new rule immediately and makes it much harder to overturn. The point of the clause is to make sure agencies have the authority to begin the process to honor the law. 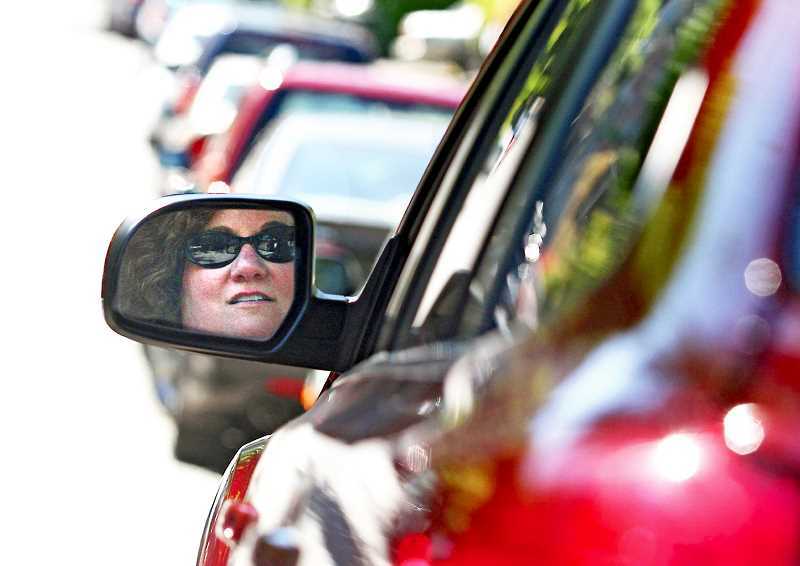 In this case, it is to make sure the Oregon Department of Motor Vehicles has enough time to get the new standards in place for the rollout of the requirements the law would change in January 2021. Twelve states, plus the District of Columbia and Puerto Rico, provide driver's licenses and cards regardless of immigration status. This year, Oregon is one of 13 states considering a similar change. It could impact more than 100,000 residents who are ineligible for driver's licenses because of lack of documents or legal status in the country. "This bill would still require that anyone applying for a driver license, regardless of their immigration status or citizenship status, would still have to take the driving test and written test, provide proof of identity and proof of insurance," Williams said. "That's a really critical part of this bill, to ensure that people who are driving on our roads are driving safely and they understand the rules of the road." Legislators have been working with the Oregon chapter of the American Civil Liberties Union to write provisions in the bill to protect personal information collected by state transportation offices from being shared with Immigration and Customs Enforcement (ICE) and other federal agencies. Rep. Diego Hernandez (D-Portland) said that the issue of privacy is a concern for every Oregonian and this bill increases protections for everyone. "It creates the ability to get a C-Class driver's license in a way that is more accessible than our current system and those that won't be able to get the Real ID because they are lacking documentation," said Hernandez, one of the sponsors. In 2017, lawmakers limited the scope of information public agencies and public bodies can share with federal officials, specifically for immigration protections. The state's proposed standard driver's license requires less personal information be scanned and stored in government databases. State officials predict many people will chose the standard license under the new Real ID requirements, rather than the enhanced version, to protect personal data and because it will cost less. Because anyone can get the standard license, it won't include an indication of immigration status on the card. Kimberly McCullough, director of the Oregon ACLU, says additional personal data protections were written in the bill. In Vermont, a local activist group sued ICE, the Department of Homeland Security and Vermont DMV alleging there was routine information sharing that led to harassment and detaining of farmworkers. A similar situation took place in Washington, where the department of licensing regularly shared photos and driver's license applications with ICE. "There is always a risk that Oregonians are not going to act within the law, but we have done a lot of work to educate agencies on how to protect information," McCullough said. "We are doing everything we can to make sure something like that does not happen." Rep. Teresa Alonso Leon (D-Woodburn) says she hears a lot of questions about driving from her constituents. She became a United States citizen in 2012, and her Marion County district includes a comparatively high population of recent immigrants. She's one of the sponsors of the proposed change in state license requirements. "Just imagine not being able to drive if that's how you get everywhere," she said. "Imagine the access limitations — going to your doctor, going to the pharmacy to get your prescription. A lot of our families had to change their lives completely just to accommodate the fact that they can't drive anymore." At a recent meeting on education in her district, she said parents reminded her of not being able to take their children on field trips or volunteer at the school because they don't have state-issued IDs. "So not having a driver's license has impeded our families in multiple ways that are really important to acknowledge," Alonso Leon said. Hernandez says he has heard similar stories and he's heard from constituents who say it can take months to get a driver's license because they struggle to find proper documentation. "This is way past due," he said. "This should have happened a decade ago." Peña, the Causa advocate who must drive her father to work, says this bill is not about immigration but rather promoting a better quality of life for Oregonians. "While we may not agree on how to fix our complex immigration system, we can all agree that immigrants — my family, your neighbors, my neighbors — shouldn't be separated from their families due to a traffic violation," she said. "That's not an Oregon value and it shouldn't be something that we are OK with."